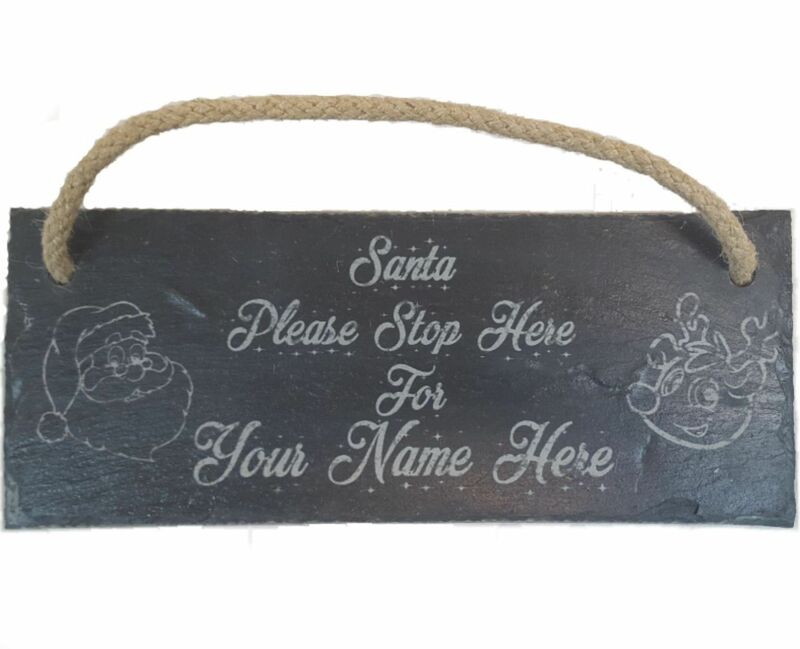 Novelty hanging slate sign for Santa, personalised with your child's name. 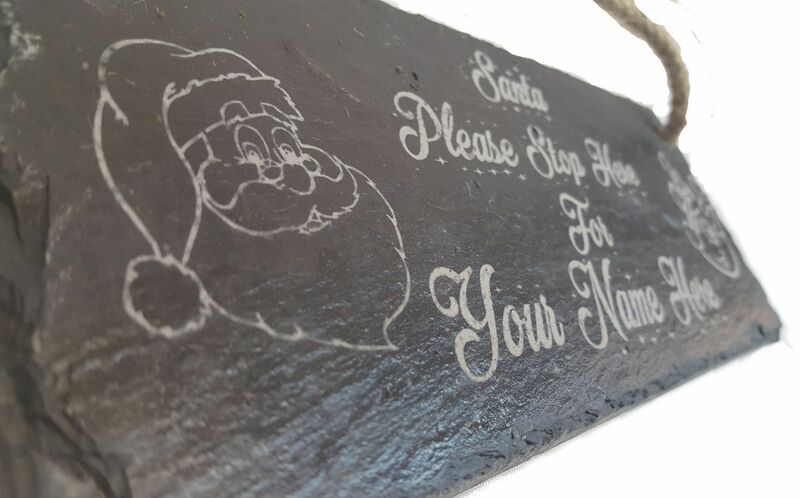 Laser engraved with your personalised details. 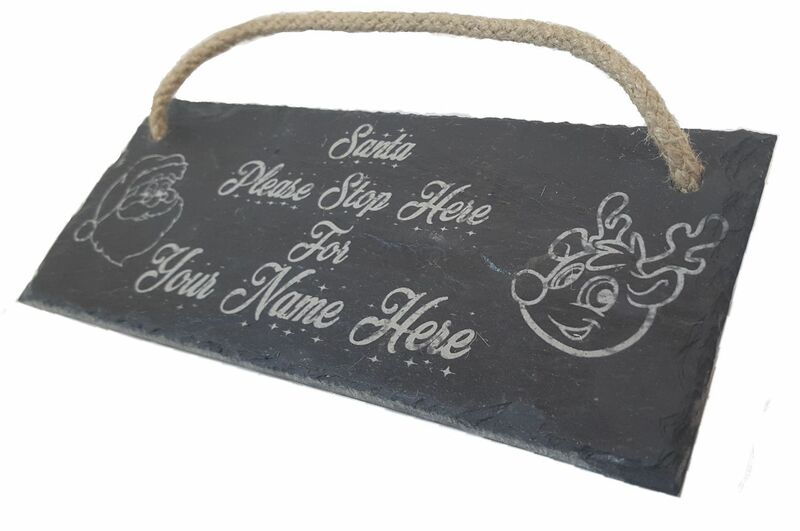 Send your desired personalised name via the Amazon messaging system or email us at info@derwentlasercrafts.co.uk. 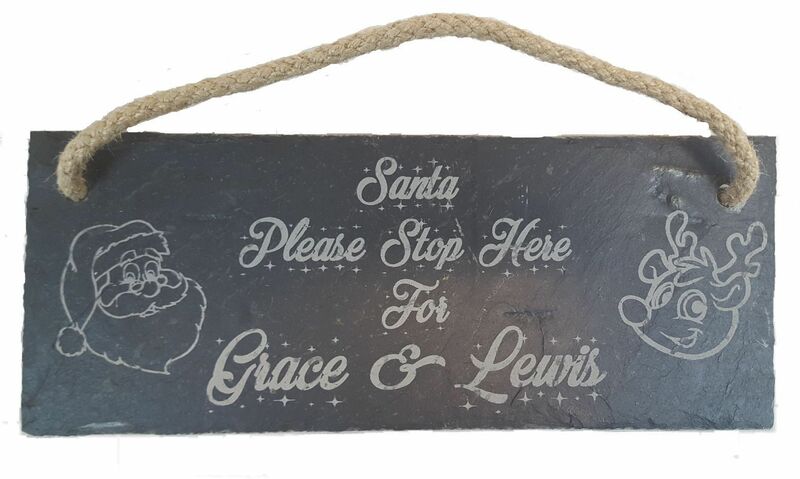 Slate size is 25cmx10cm approx. Supplied with jute rope for hanging. Manufactured in the UK by Derwent Laser Crafts Ltd.